We mine year round at Randall Glen! 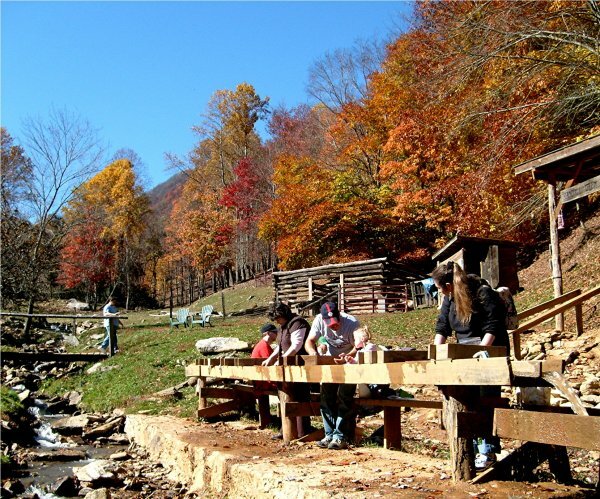 A lot of Smoky Mountain gem mines are only open from April through October, but we’re open year round, as long as the weather permits. Sometimes in January and February, the flume is frozen solid so we have to close, but if the flume is running, we’re mining! And you can mine year round at home, too. Just give us a call and we’ll ship you gem dirt so you can prospect at home! Call us at 828-683-5758 to order.